Welcome to the Garden Court Hotel, a family owned and operated central London hotel. Established in 1954, the hotel is an English Heritage listed 19th Century Victorian building and we have embraced our history to provide an authentic British atmosphere. We set high standards with the goal of providing real value for money at affordable prices. 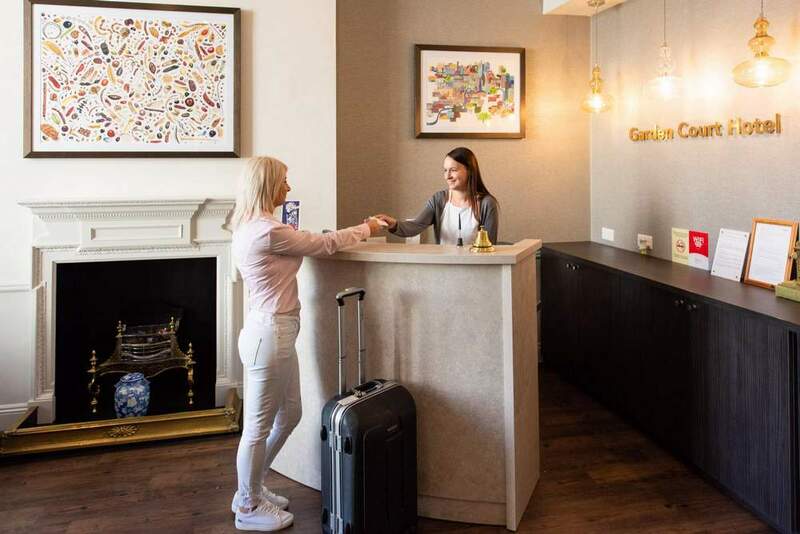 Whether it’s business or pleasure, you’ll find the Garden Court Hotel ideally located next to London’s Hyde Park and just minutes away from the bright lights and famous sights of the West End. The 19th-century Garden Court Hotel is ideally situated in Kensington Gardens Square. We are a modern, family-run hotel just a short walk from Bayswater, Queensway, Royal Oak and Paddington Stations. Each comfortable room is tastefully designed, complete with flat screen TVs, in-room safes and tea/coffee making facilities. Our deluxe rooms also have the added luxury of in-room Nespresso machines and mini-fridges. Free high-speed Wi-Fi internet access throughout the hotel, and there is also free luggage storage available at our 24-hour reception. A complimentary continental buffet breakfast is available when booked directly through our website or by phone. Nestled in a quiet residential area and part of a thriving and cosmopolitan neighbourhood, Bayswater is famed as one of London's most architecturally traditional areas and a shining example of London’s diversity. Located in proximity to three tube stations, our unrivalled transport links are ideally situated for getting lost in London’s many famous sights and sounds. With the great expanse of London’s iconic Hyde Park on your doorstep as well as the world renowned Portobello Market and Notting Hill a short walk away you are never too far from your next adventure.